Next-generation sequencing-based methodologies have revolutionized the analysis of protein-nucleic acid complexes; yet these novel approaches have rarely been applied in virology. Because it has an RNA genome, RNA-protein interactions play critical roles in human immunodeficiency virus type 1 (HIV-1) replication. In many cases, the binding sites of proteins on HIV-1 RNA molecules in physiologically relevant settings are not known. Cross-linking-immunoprecipitation sequencing (CLIP-seq) methodologies, which combine immunoprecipitation of covalently crosslinked protein-RNA complexes with high-throughput sequencing, is a powerful technique that can be applied to such questions as it provides a global account of RNA sequences bound by a RNA-binding protein of interest in physiological settings at near-nucleotide resolution. Here, we describe the application of the CLIP-seq methodology to identify the RNA molecules that are bound by the HIV-1 Gag protein in cells and in virions. 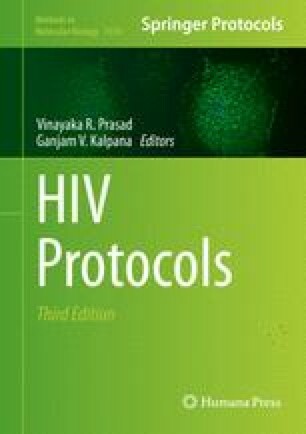 This protocol can easily be applied to other viral and cellular RNA-binding proteins that influence HIV-1 replication. This work was supported by NIH grants R01AI501111 and P50GM103297. S.B.K. was supported in part by an AmFAR Mathilde Krim Postdoctoral Fellowship.